The net income of the 287 funds launched by 53 fund management firms totaled 124.8 billion yuan, while paper profits reached about 146 billion yuan, according to WIND, a provider of Chinese financial data. The profits were more than 38 times greater than the seven billion yuan earned in 2005 by all 206 funds under 46 fund management firms. The majority of profits came from the 216 stock-leaning funds, which have at least 60 percent of their investments in stocks. They reported total operating profits of 261.4 billion yuan, accounting for 96.53 percent of all fund profits. The country experienced a fund investment boom last year as investors shifted low-interest bank deposits into the bourses, which surged 130 percent last year after a four-year slump. Fifteen million people have invested in funds. The proportion of individual investors in closed-end funds rose to 74.21 percent by the end of 2006, an increase of 18.05 percentage points from the end of the first half, according to WIND. China raised 390 billion yuan in 90 new funds and registered 7.78 million new accounts in 2006. More than 300 mutual funds have sprung up in China since 1992. 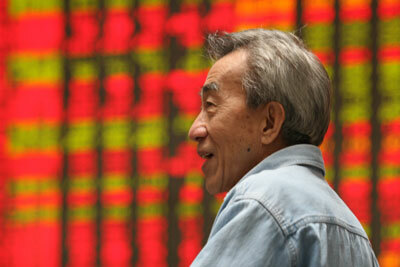 The funds are valued at around one trillion yuan, accounting for 19 percent of the present stock markets.